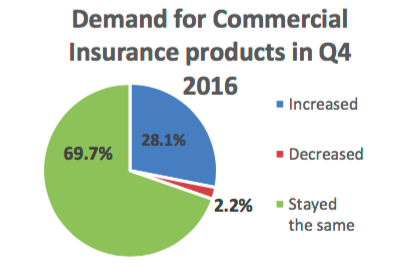 Where are U.S. commercial insurance rates headed in the coming year? 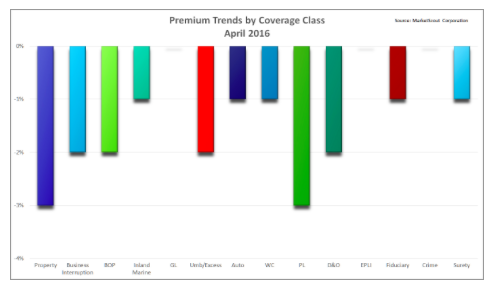 Latest analysis from online insurance exchange MarketScout gives some insight. 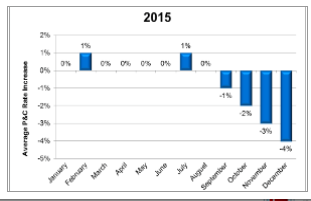 December closed out the year at a composite rate reduction of 1 percent, according to MarketScout. Employment practices liability insurance and crime were the only coverages with rate increases in December, with increases of 1 to 2 percent. 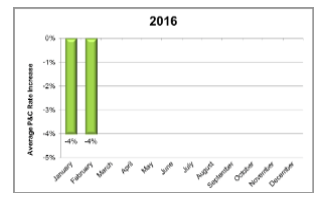 Workers’ compensation rates decreased from down 1 percent to down 2 percent in December. Commercial property rate decreases moderated from down 3 percent to down 2 percent. The soft market is now 16 months old, but seems longer because the composite rate in 2015 was flat or plus 1 percent for the first eight months before dipping into negative territory. Kerr noted that generally the soft or hard market cycles last at least three years. 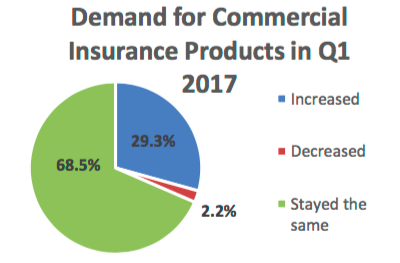 Most industries are cyclical to some extent and the Insurance Information Institute offers further explanation of the property/casualty insurance market cycle here.